Holly of Holly's Harps is a real person! Holly Pratt, harpist and educator, is founder of Lyrica. She also appears with other chamber ensembles and Early Music ensembles in the US and Europe. 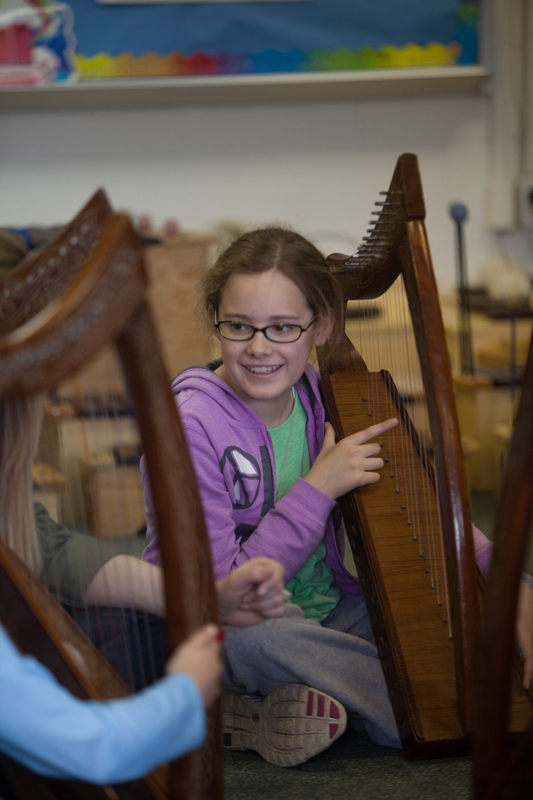 Holly's interests extend far beyond music performance, and she connects listeners and program participants with history, science, math, and languages as well as the simple joy of music. Holly travels with harps of many types and sizes. Holly's work has been profiled on television, in newspapers, and Public Radio. Recent engagements have taken her around North America, and to Europe and Japan. She has been the recipient of the Continuing Creativity Teaching Award, the Great Isle Arts Service Award, and the Merfyn Jones Award. 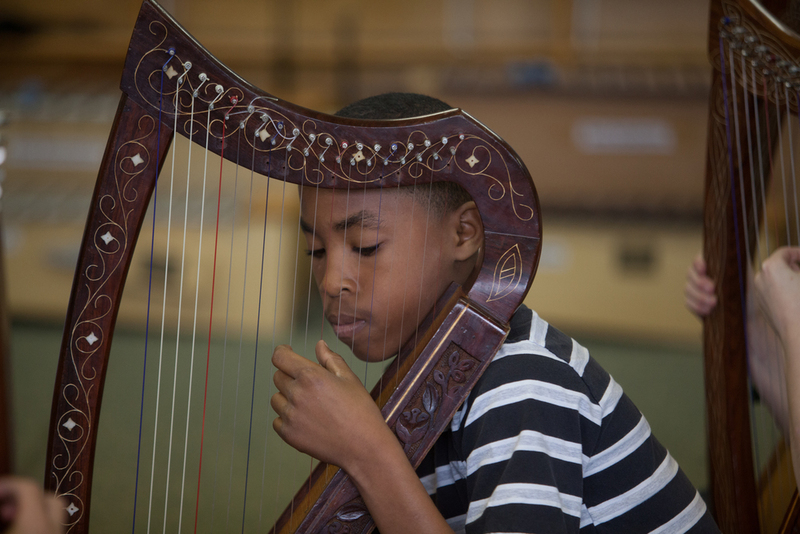 Recognition for Holly's Harps has also come from numerous state and metropolitan Touring Arts rosters and Arts-in-Education rosters. In addition, this work in communities like yours has been supported by over 70 state, local, regional, national and international organizations including: The Harry Chapin Foundation, The Great Isle Organization, Ohio Arts Council, Kentucky Arts Council, Very Special Arts, Musica Historica, CathedralArts, Community Arts Fund, The Fine Arts Fund, Metro Arts, The Purdy Foundation, The Nabama Foundation, The Jack J. Smith Charitable Trust, The Greater Cincinnati Foundation, Continuing Creativity Teachers' Organization, Toyota, Hines, Summerfair, Trinity Group and many others. Holly's Harps is a unique outreach program of Lyrica, Inc. (www.lyrica.org). Since 1988, Lyrica has been dedicated to bringing music to the places where people live, work, learn and spend their time. Lyrica was honored to be chosen as one of a few arts organizations for support made possible by the National Endowment for the Arts through funds allocated from ARRA. 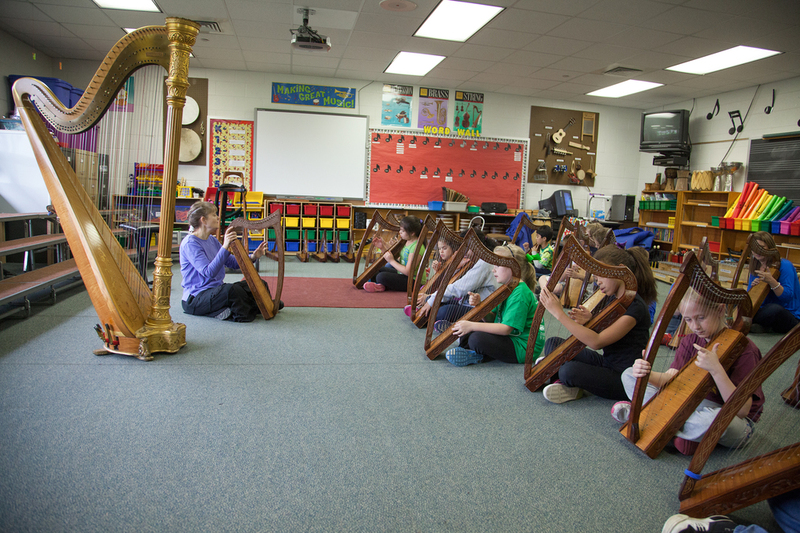 For some Holly's Harps programs, you may invite not only Holly but also other musician-educators of Lyrica. See our program page or contact us to discuss the possibilities.